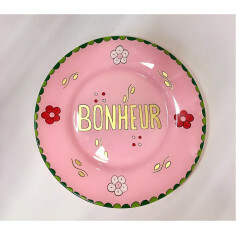 These hand-painted plates are an ideal wedding gift. Decorative, they will liven up your tables. 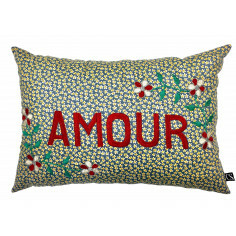 "Je t'aime" means I love you in english. Peintes à la main, ces assiettes à décor sont un cadeau de mariage idéal. Décoratives, elles égaieront vos tables.Différents coloris et différents messages : Amour, Je t'aime, Mon chéri, Ma chérie.... Lavage à la main. These hand-painted plates are an ideal wedding gift. Decorative, they will liven up your tables. Different colors and different messages: Amour, Je t'aime, ma chérie, Mon chéri, Bonheur .... "Je t'aime" means I love you in english. Hand washing. 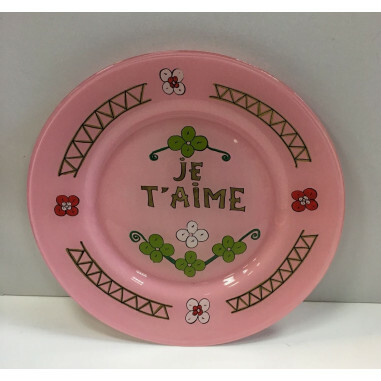 These hand-painted plates are an ideal wedding gift. Decorative, they will liven up your tables. Different colors and different messages: Amour, Je t'aime, ma chérie, Mon chéri, Bonheur .... "Ma chérie" means my sweetheart in english. Hand washing. 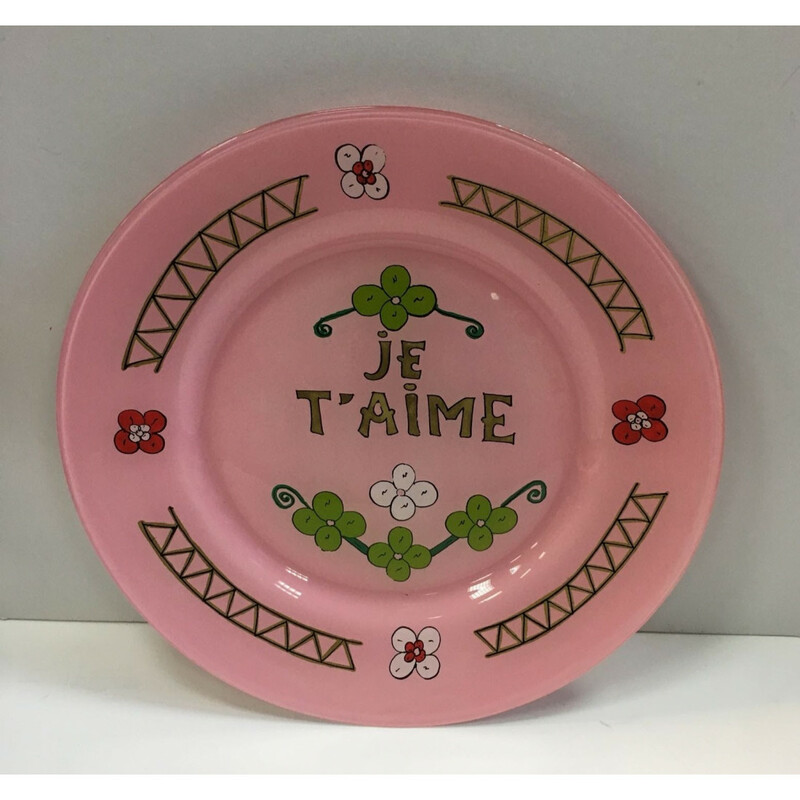 These hand-painted plates are an ideal wedding gift. Decorative, they will liven up your tables. 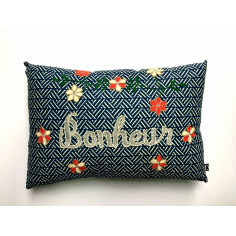 Different colors and different messages: Amour, Je t'aime, ma chérie, Mon chéri, Bonheur .... "Bonheur" means Happiness in english. Hand washing.